JERUSALEM, Israel – In what some are calling a surprise move, Israeli Education Minister Naftali Bennett and Justice Minister Ayelet Shaked decided not to resign from the government as they'd indicated earlier. In a much-anticipated announcement, both Jewish Home Party ministers said they would not quit the razor-thin coalition left after Defense Minister Avigdor Lieberman resigned last week. Lieberman's resignation left Israeli Prime Minister Benjamin Netanyahu with a 61-member coalition in the 120-member Knesset. When Jewish Home threatened to leave the government if Bennett was not appointed in Lieberman's place, early elections seemed almost inevitable. The fallout from the ongoing conflict between Israel and Hamas along the Gaza border could have threatened US President Trump's Middle East peace plan. Bennett and Shaked were not in favor of the ceasefire with Hamas and other Islamic terror groups in the coastal enclave. On Sunday night, Netanyahu announced he would take over as defense minister and that early elections would be bad for the country. "From my experience, I am telling you that we are in one of the most complex security situations and during a period like this, you don't topple a government. During a period like this, you don't go to early elections. It is irresponsible," Netanyahu said. Elections are scheduled for November 2019. "We still have another year before elections; we are in the midst of the [national security] campaign and in the middle of a campaign you don't abandon it. In the middle of a campaign you don't play politics, the security of the state is beyond politics," he added. Israeli political analyst Elie Pieprz says there's a lot to factor in. "Everything from Russia, from Syria from the northern part of Syria from Lebanon to a potential peace plan [and] how it would be received here in Israel, depending on what is in the peace plan. There's a lot of factors." 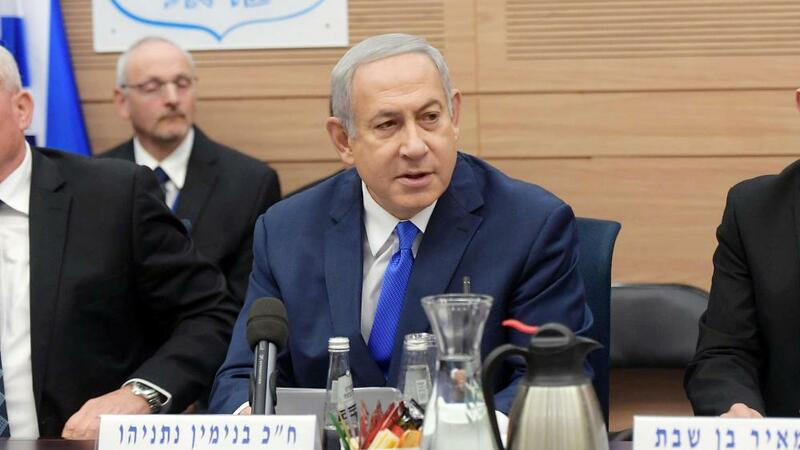 Following a meeting with the Knesset Foreign Affairs and Defense Committee Monday morning, Netanyahu issued the following statement. "Yesterday I took the position of defense minister. I met with IDF Chief of Staff Lt.-Gen. Gadi Eizenkot and his designated successor Maj. Gen. Aviv Kochavi. We are ready for all challenges. "As I said last night, we are in a campaign that has not yet ended. At this sensitive security time, it would be irresponsible to topple the government. "Whether our partners decide to topple the government or not, we will continue to take action to ensure the security of our state and of our people. We will do so sensibly, responsibly and with determination. "I rely on the IDF. I rely on the security forces. I rely on the citizens of Israel. Together we can face any challenge – and we will ensure the security of Israel," the statement concluded. Pieprz says prayer matters, especially in these times. "Pray that the political leaders in Israel should always remember that God's above them. That's why I wear a kippah on my head to remind me that God's above me and as long as our leaders as well as the leaders in America always remember that God is above us we're in good shape."